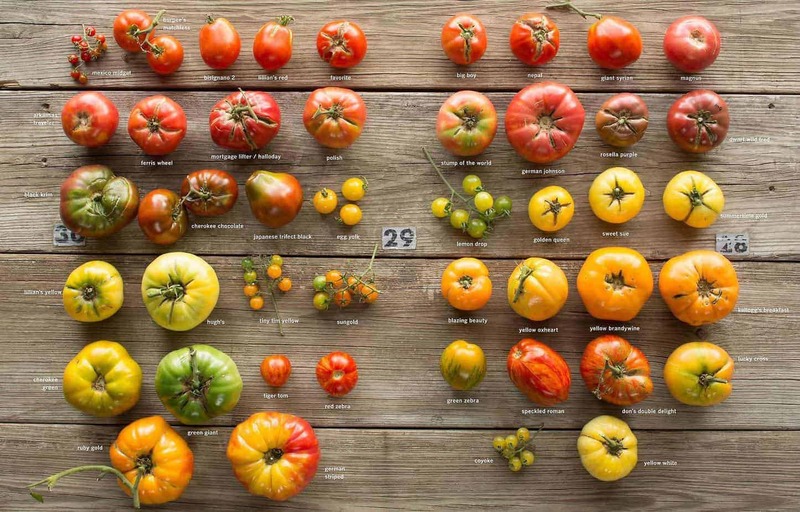 Heirloom tomato varieties are gorgeous. Many offer better taste & flavor than the hybrid ones you see in grocery stores. 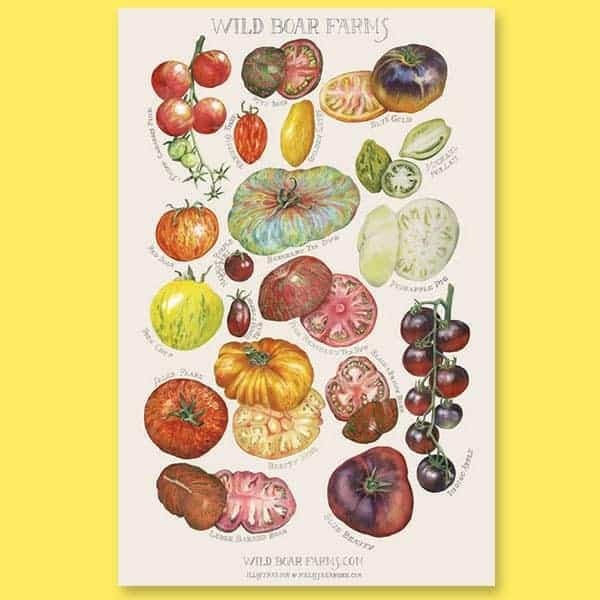 I’ve been growing heirloom tomatoes for a few years now and I’ve found a few fav varieties (although there are endless varieties to try!). Every year I try to add some new heirloom tomato varieties and keep some of the old favorites. 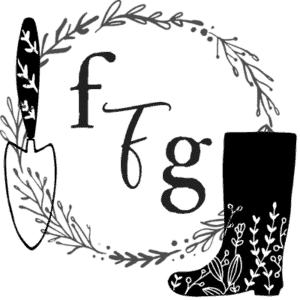 Because I love talking to other gardeners about heirlooms, I thought it would be fun to discuss heirloom tomato varieties & where you can buy heirloom tomato seeds. 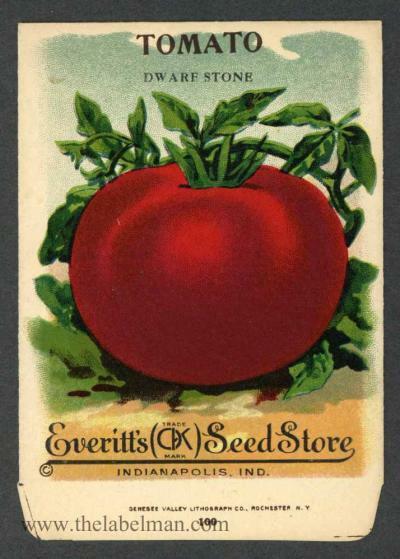 There is a bit of a debate about ‘when’ a seed can be classified as an heirloom. Some people say 50 years, but many a pre-world war 2. These seeds are open-pollinated and can be saved. 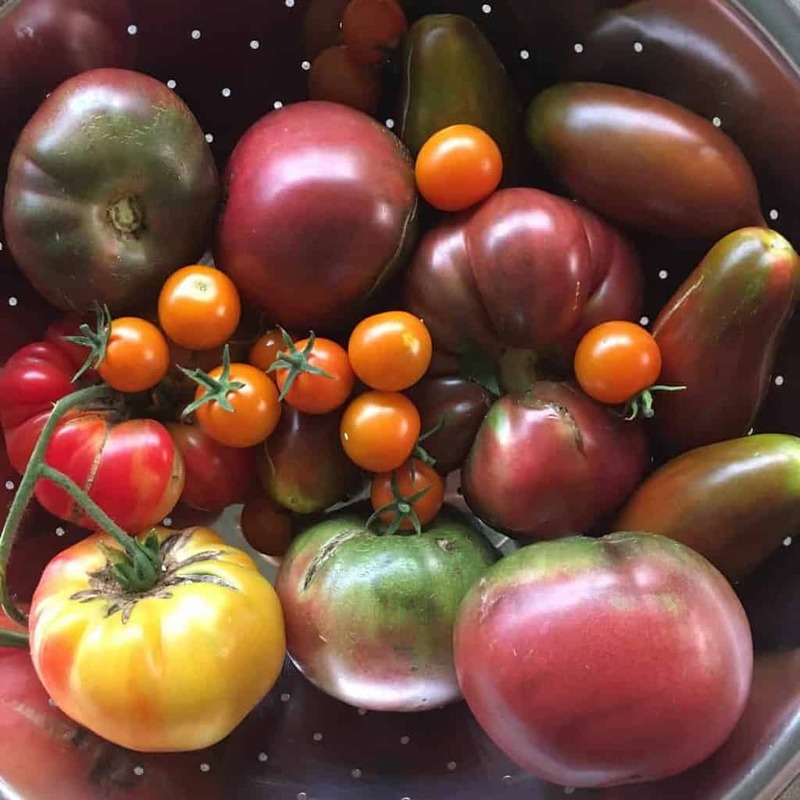 Heirloom tomatoes come in an amazing array of colors from black, brown, red, orange, yellow, pink, green and many are bi-coloured or striped. 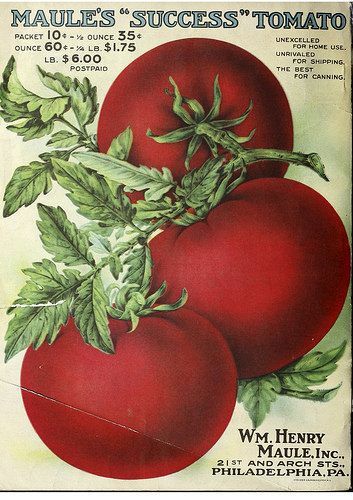 Many varieties can look a bit funky and crack easier (especially the large beefsteak ones or brandywine ones). The skin of heirloom tomatoes tends to be thinner and they bruise easier which is why you need to be gentle when harvesting. But the taste of heirloom vine-ripened tomatoes is amazing! I’ve really taken a liking to the black tomato varieties. I started with Black Icicle, a black paste heirloom tomato which I absolutely love, and then heard how great Black Krim was so I grew them this year. 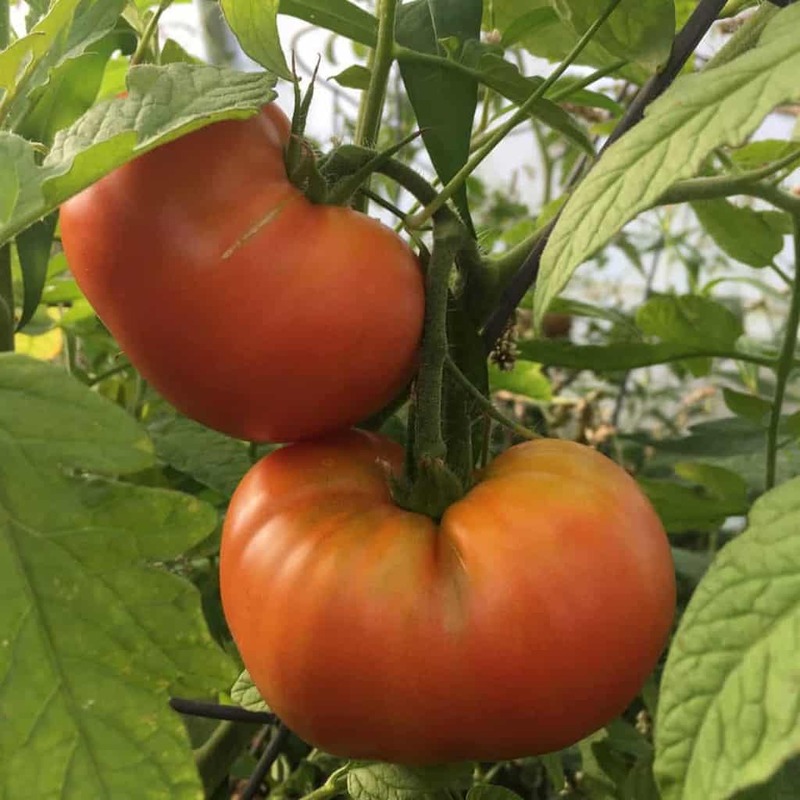 Black Krim was large, but it didn’t color as deeply as we have a shorter growing season here in Canada (although they were greenhouse grown). I personally love growing a lot of the roma shaped/paste tomatoes as I do a lot of canning tomato sauce and salsa more than fresh eating (gasp I know). San Marzano was decent, although I prefer the Amish Paste. I tried growing Gold Medal but the yield was far less than most of the other varieties (unfortunately! It was GORGEOUS). Yellow Pear was very abundant and had great colour. 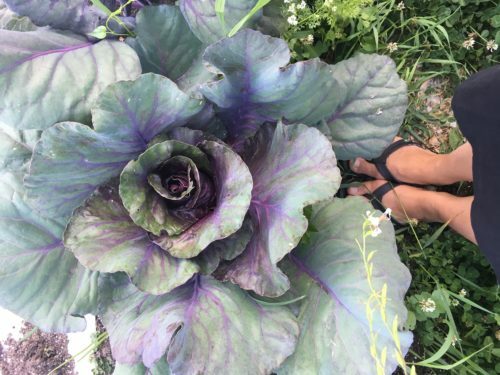 I’ve grown German Pink, and Black Vernissage, although both didn’t yield as well as many other varieties. 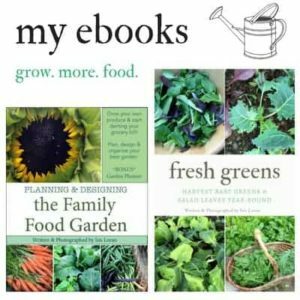 Here are some fantastic seed companies to buy heirloom tomato seeds. If you have a favourite not here let me know in the comments & I’ll add it! Tomato Fest more than 650 varieties! What is your fav heirloom tomato variety?